My best friend Meg is smart, sarcastic, chic and all things Manhattan. 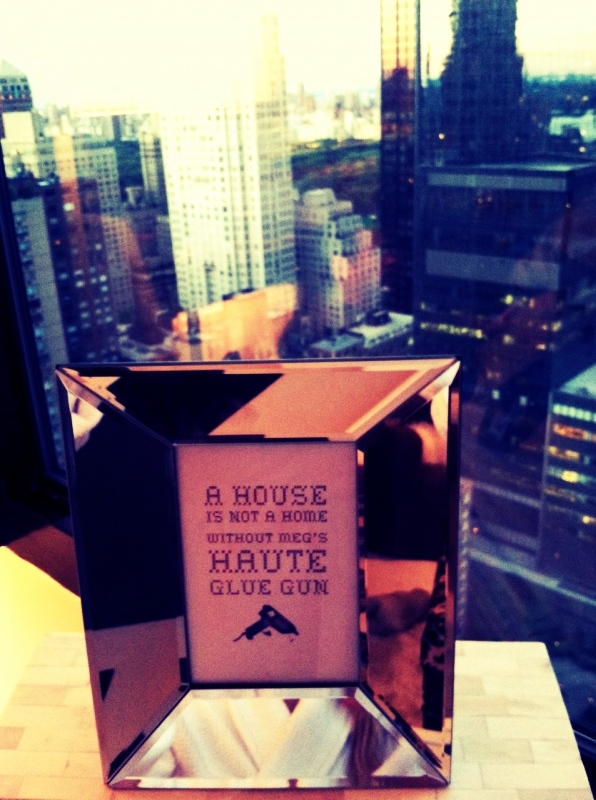 Meg is also incredibly creative and crafty. We would wake up at 5:30AM in college to be at Moskatel's right when the doors opened. 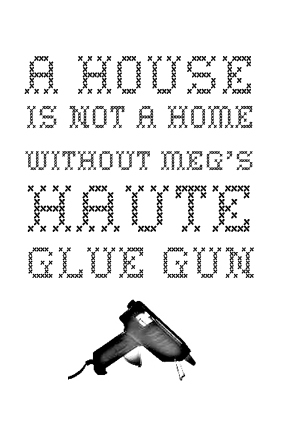 Meg's most coveted crafting weapon is her hot glue gun. Senior year in our bungalow, Meg hot glued her Ikea Lindmon wooden blinds in her bedroom windows after her Dewalt failed her. She also hot glued ribbons to her legs for her costume for our 20th birthday bash. Which we rented out a bar for. Note, 20th. And framed a pic of her hailing a taxi with Michael on a beautiful Manhattan evening. 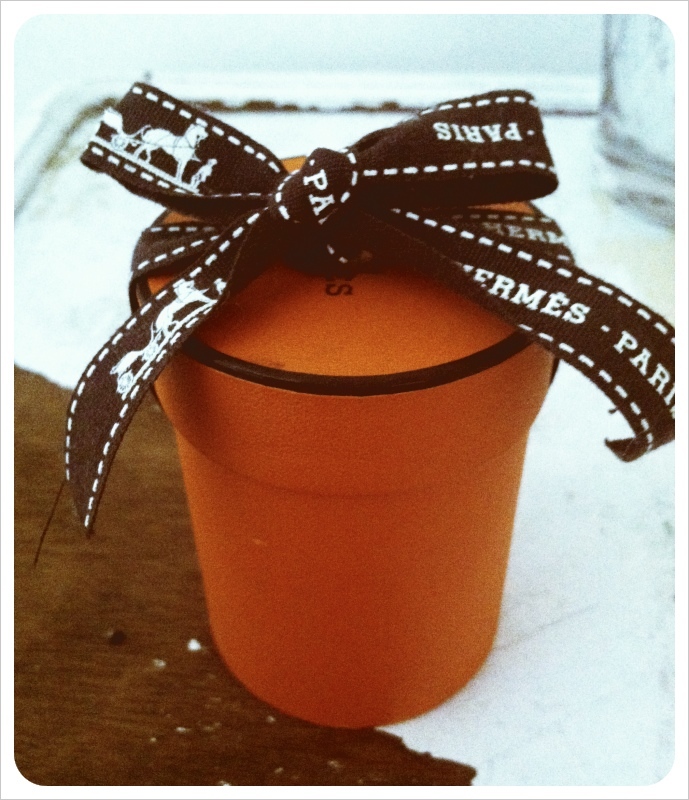 I also threw in a little something in a little orange box! Happy birthday Meg. This post pales in comparison to how amazing you are. I love you and thank you for making me laugh, making me craft and whole lotta "adventures" over the last ten years. I love college Court/Meg pix! And I totally remember both that sweater/scarf AND her hat. OH MY... LORD OF THE RINGS?